AKIPRESS.COM - The large scale event of the Islamic world is held in Sharjah on April 6-25 – Sharjah Heritage Days 2014. Sharjah is a cultural capital of the United Arab Emirates. The ruler of Sharjah emirate, Sheikh Sultan III bin Mohammed Al-Qasimi, is the well-known historian in the Arab world. 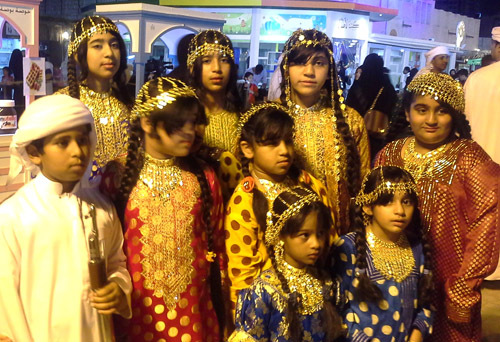 The Sharjah Heritage Days Festival is held under his guidance 12th year in a row. The given emirate was elected at the 6th conference of the Culture Ministers of the Organization of Islamic Conference as cultural capital in 2014 due to contribution of the emirate into development of culture both in UAE and whole Islamic world. This unique festival demonstrates diversity of Muslim cultural heritage, showing how national art can flourish and how it supplements the Islamic culture on the whole, Abdulaziz Al Musallam, Director of Heritage and Cultural Affairs at the Sharjah Department of Culture and Information, said at the meeting with Kyrgyz journalists. 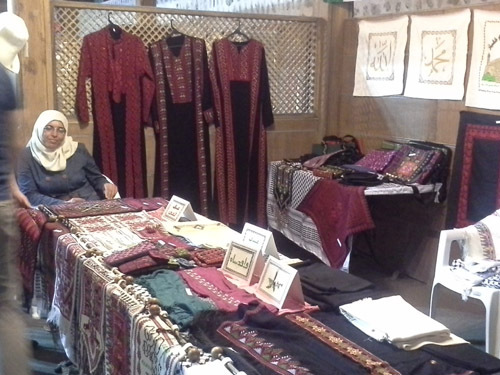 Each Islamic country showcases its peculiarities, historical and cultural heritage at this event, highlighting its uniqueness. 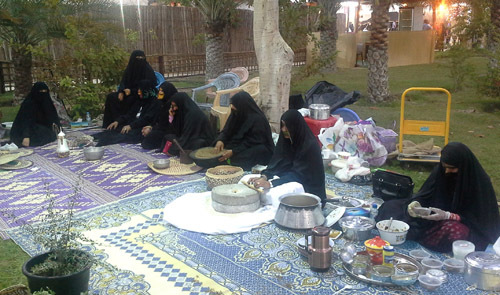 This festival also demonstrates common Islamic values and respect for other traditions, he added. Sharjah has been recognized a cultural capital of the Arab world this year, this is why it brings together major Arab countries. Participants of the festival were asked to involve 5 senses: they were supposed to perform something that can be heard, to offer something to taste, to see and to put on. 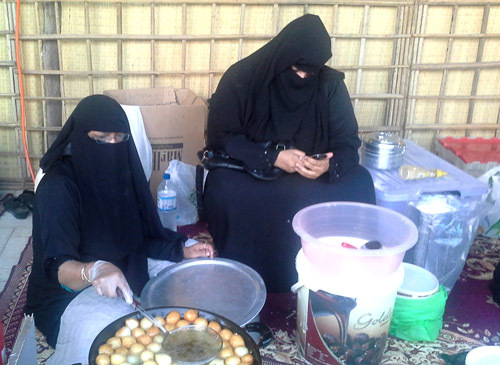 So, the participants were invited to demonstrate the diversity of their culture and its specifics, Abdulaziz Al Musallam said. 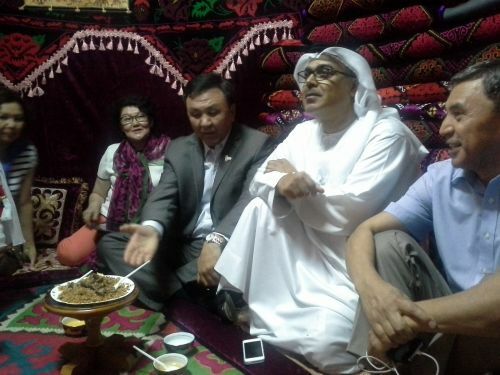 When asked about participation of the Central Asian countries in the festival, Abdulaziz Al Musallam replied that the United Arab Emirates always supported contacts with Kyrgyzstan and other Central Asian countries. The culture of Islam is very peace-loving. It brings the best to people, he stated. He noted the UAE has visa-free regime with all Central Asian countries. As cultural capital of the Islamic world Sharjah plans to promote Islamic culture in the global scale. The Director of Heritage and Cultural Affairs said the emirate expects a rapid development of the tourism industry in 2014. The inflow of foreign capital in Sharjah is estimated to make around $400 million. The government of Sharjah plans to invest $400 million into construction of 21 Islamic projects, Abdulaziz Al Musallam said. More than 30 countries from South West, East, South East and Central Asia, Africa are participating in the festival. 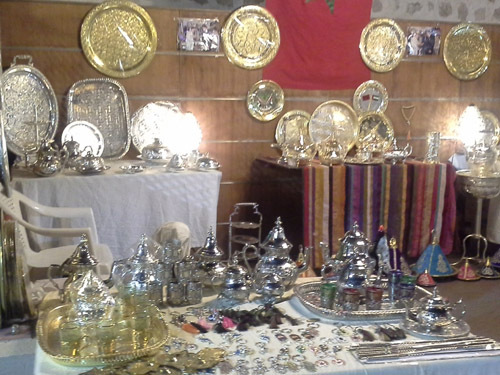 The expositions of India, Indonesia, Morocco, Oman, Tunis, Malaysia, Turkey, Algeria, and lots of other countries showcased their expositions. Kyrgyzstan, Kazakhstan, Uzbekistan, Azerbaijan and Dagestan were invited to participate in the festival this year. 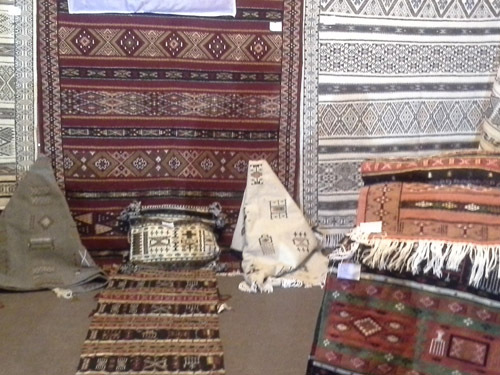 Kyrgyzstan has brought the biggest exposition. 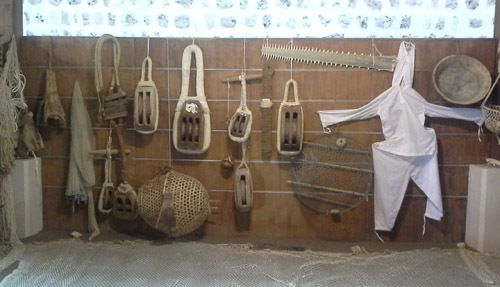 The country has won the first place for its exposition and musical performance. Only Uzbekistan offered a musical performance among other Central Asian states. Kazakhstan, Turkmenistan and Tajikistan have not participated. 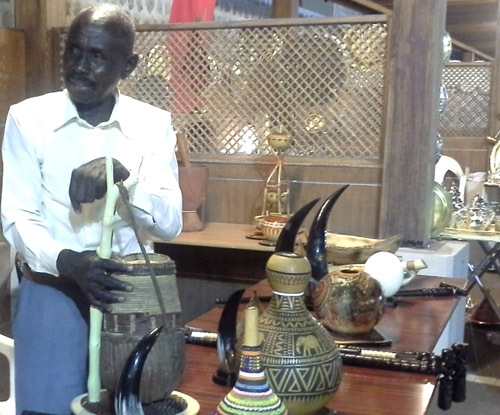 Apart from expositions, the countries-participants brought their musical and folklore groups to manifest cultural and ethnic peculiarities. Visitors were impressed by Indian, Morocco dances, Malaysian musical group, singers from Egypt, colorful show of Tunisians. 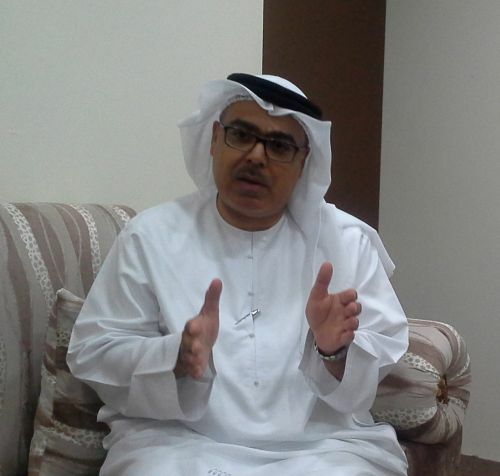 According to Abdulaziz Al Musallam, the aim of the festival is preservation of unique culture. It is important for children to feel and know their roots, he said. The historical and cultural center where the festival is held is called The Heart of Sharhaj. Its territory is enclosed with clay fence. Many fragments of ancient buildings and fences have the original appearance. Representatives of different Arab tribes occupy the biggest square. They demonstrate their traditional way of life, how they get water, cook national food. The initial wish to preserve own roots has become the cause to learn and admire cultures of other countries that were impacted by Islam influence to varying degrees. Cultural differences of countries underline uniqueness of each country. This festival is a genuine firework of national cultures. The event has a special media center, where media representatives can obtain information, write their reports and send them to their editorial offices, take interview, and just relax after excursion. Journalists are provided with all necessary supplies. The Department of Culture and Information of Sharhaj has financed organization of the festival, participation of all countries and stay of guests in Sharjah.